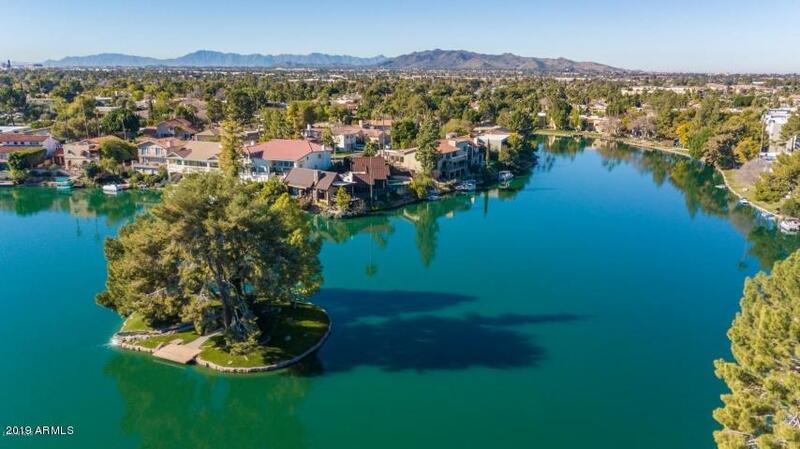 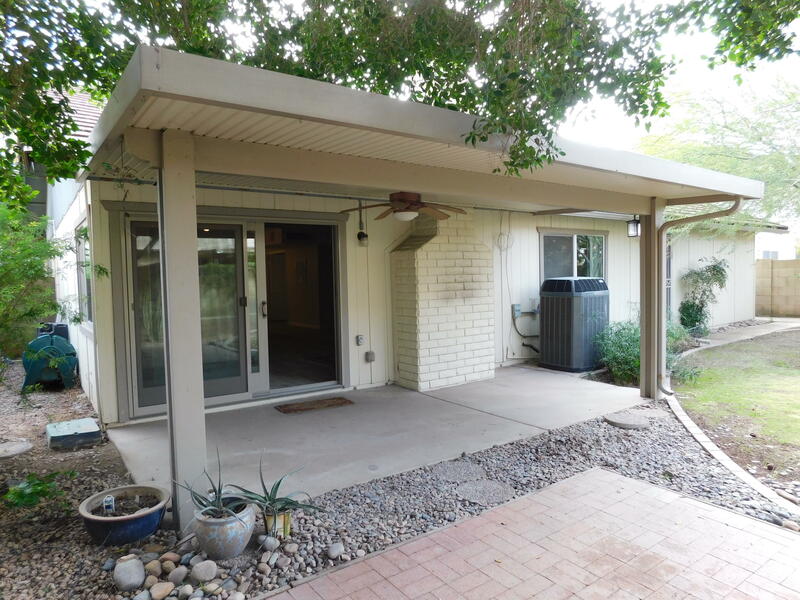 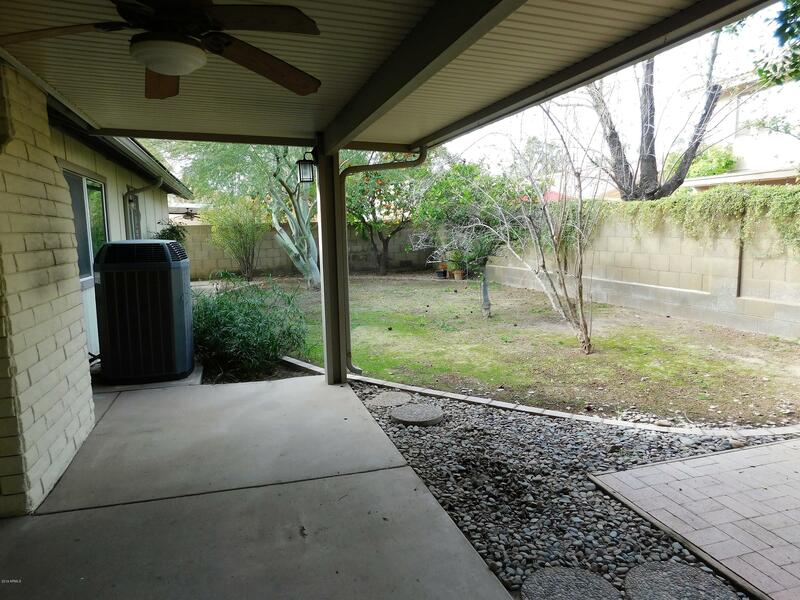 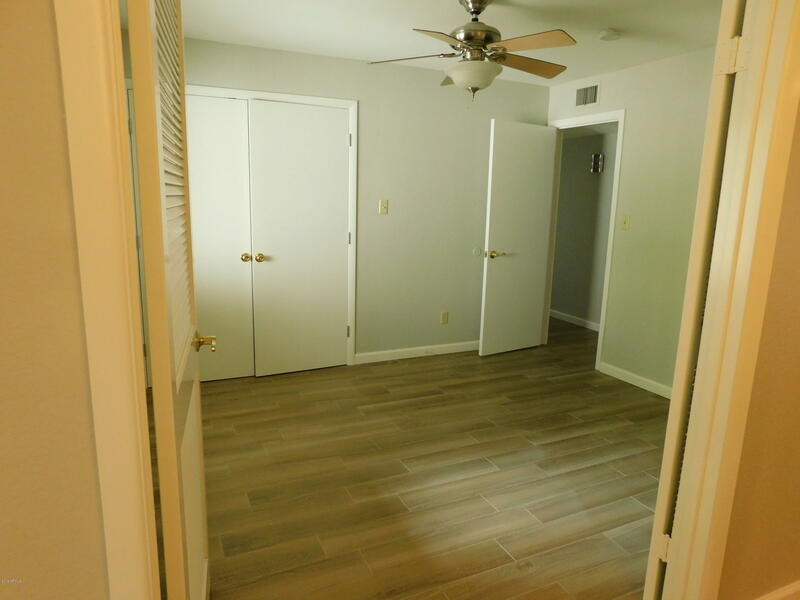 This lovely updated home is located in the desirable community of The Lakes in Tempe. 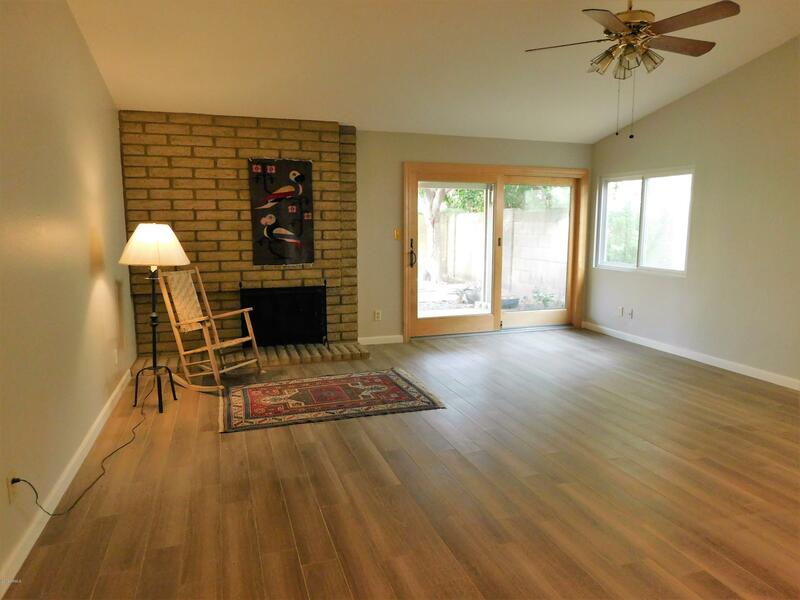 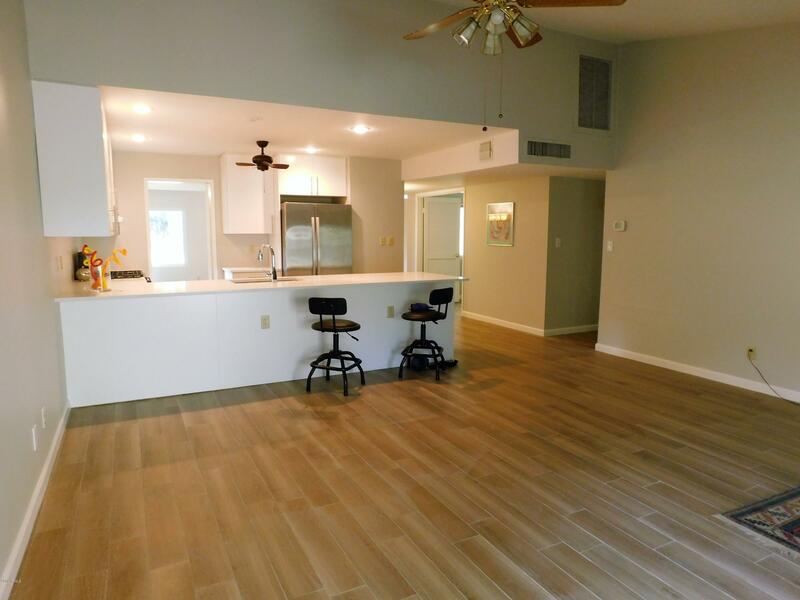 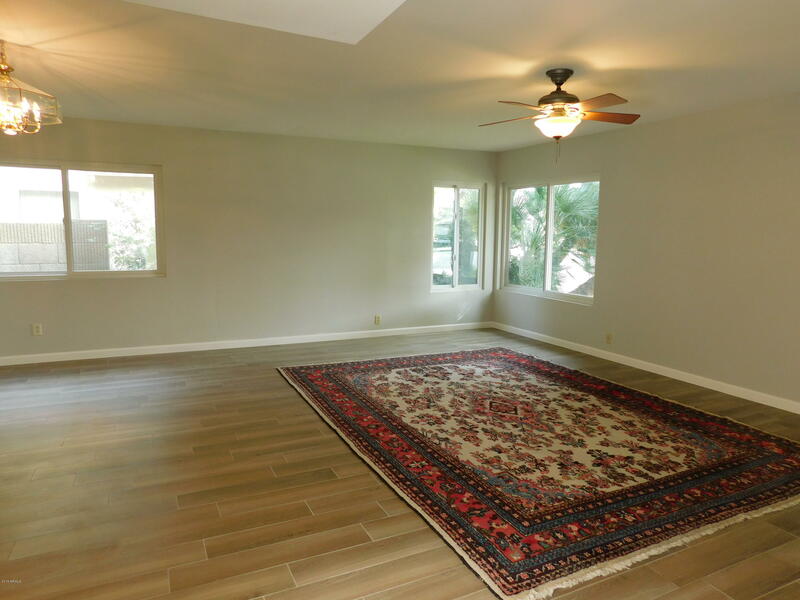 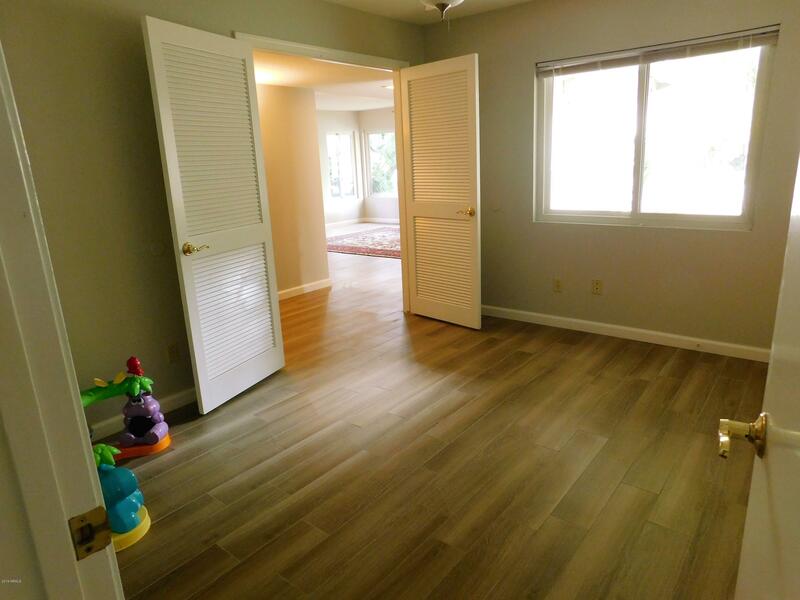 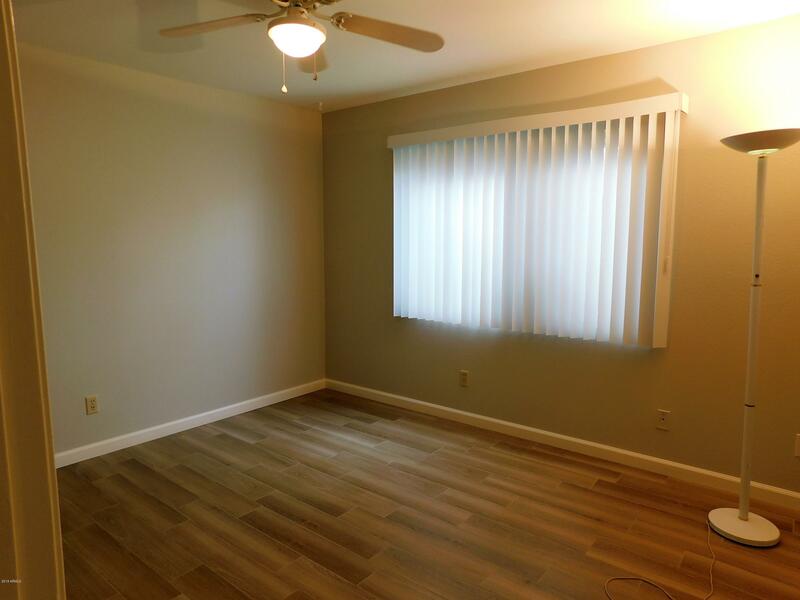 Home boasts new remodel, w/ old sunken living room filled in to allow new plank tile flooring t/o (no carpet). 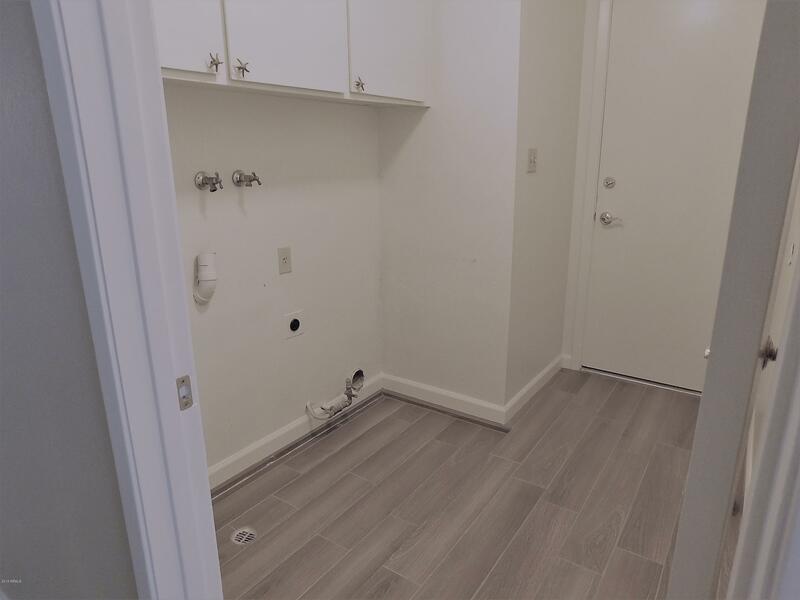 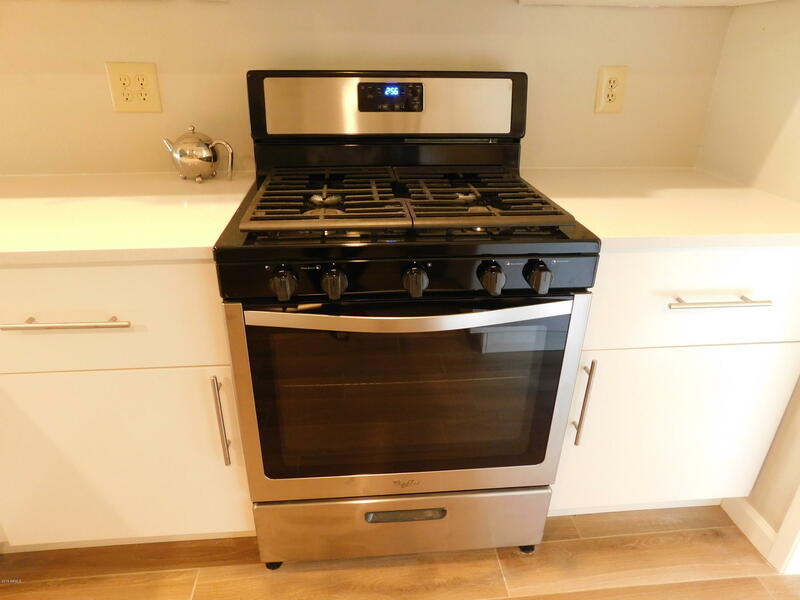 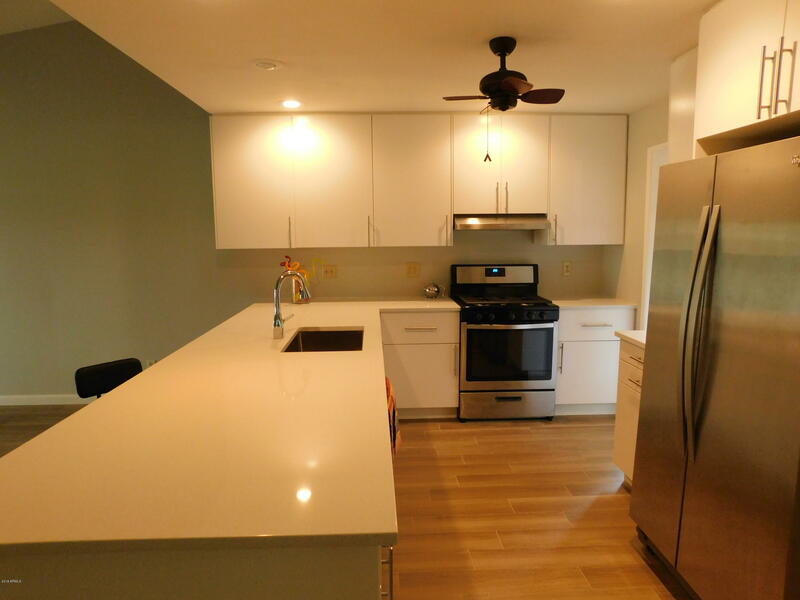 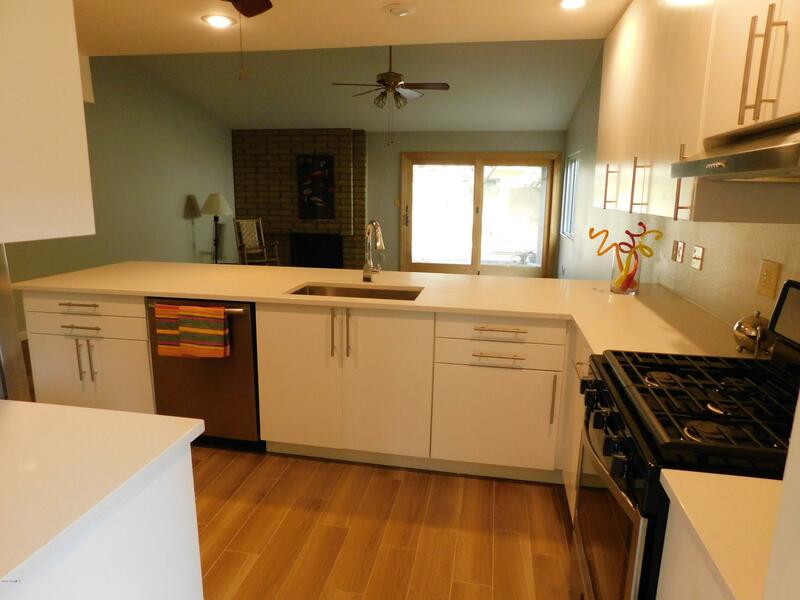 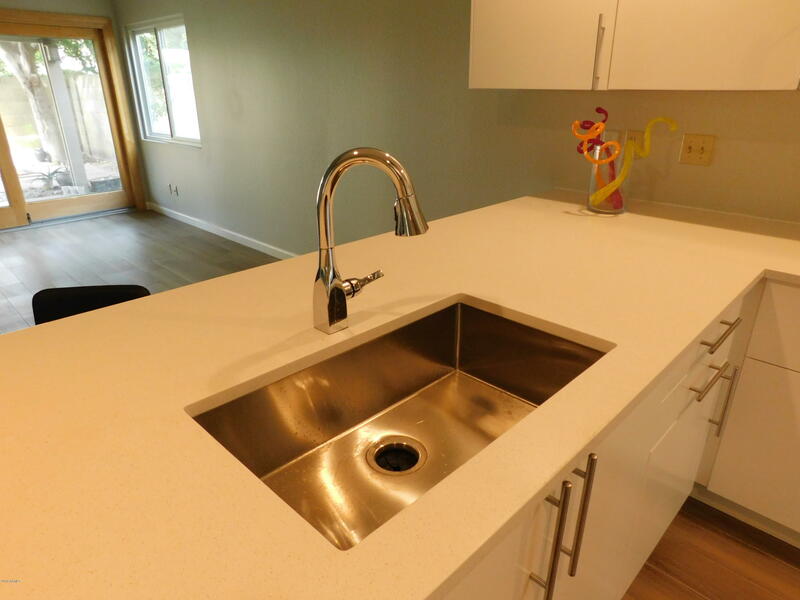 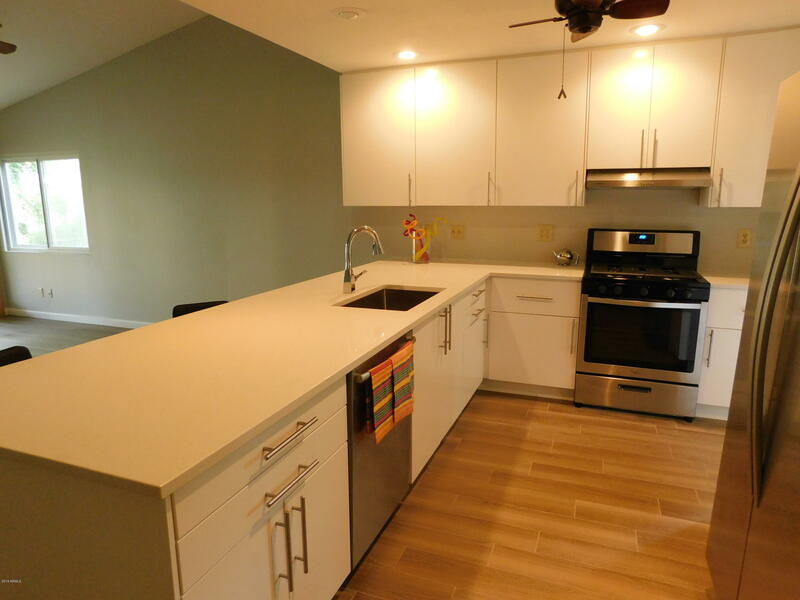 Kitchen sparkles w/new white cabinets, beautiful quartz counters & huge peninsula w/farmhouse style sink & new gas line ran in for new gas stove/oven & upgraded Bosch dishwasher. 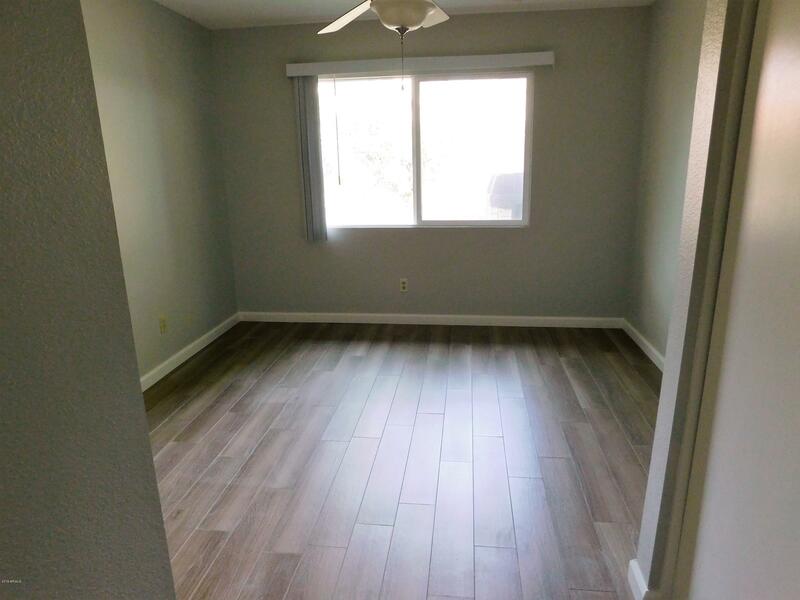 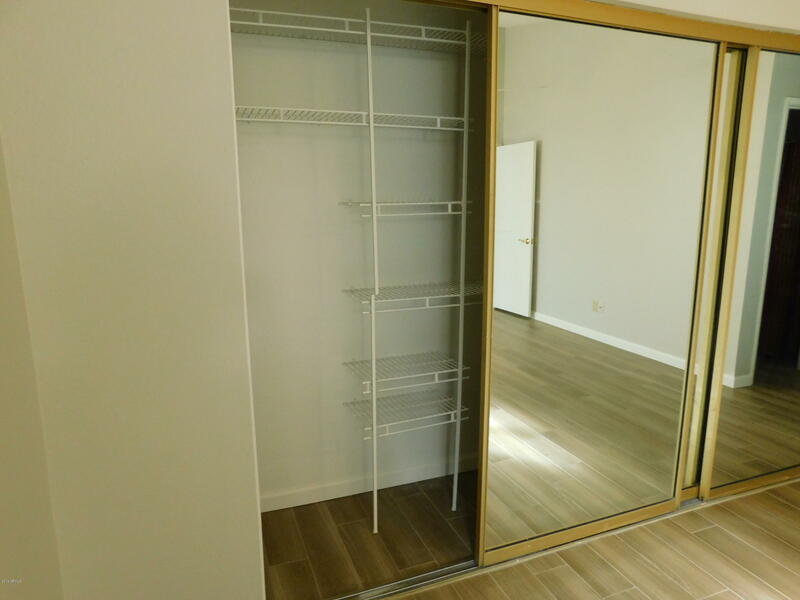 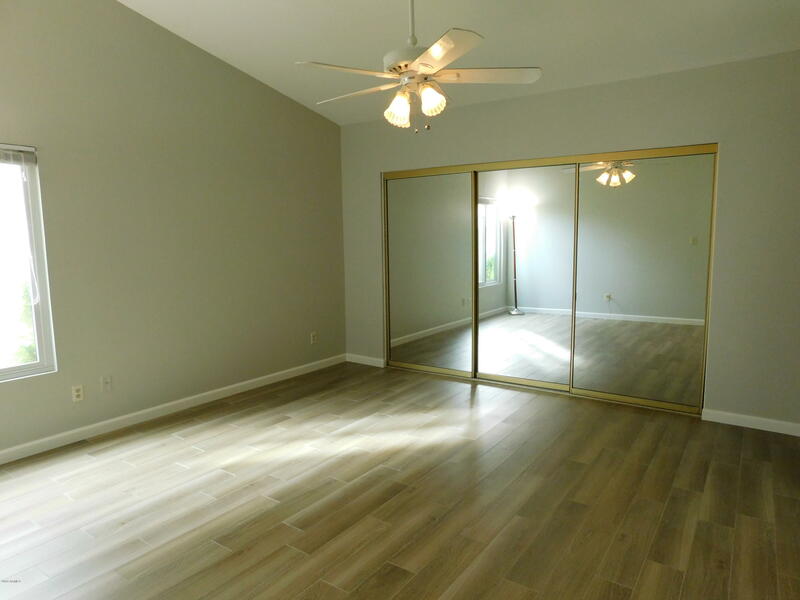 Freshly paint t/o, new raised height baseboards, Pella sliding door, Andersen dual pane windows. 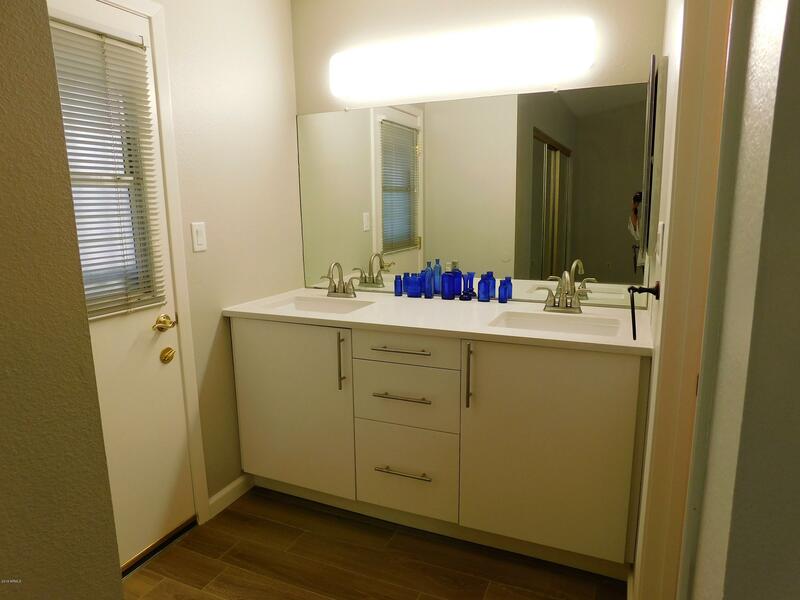 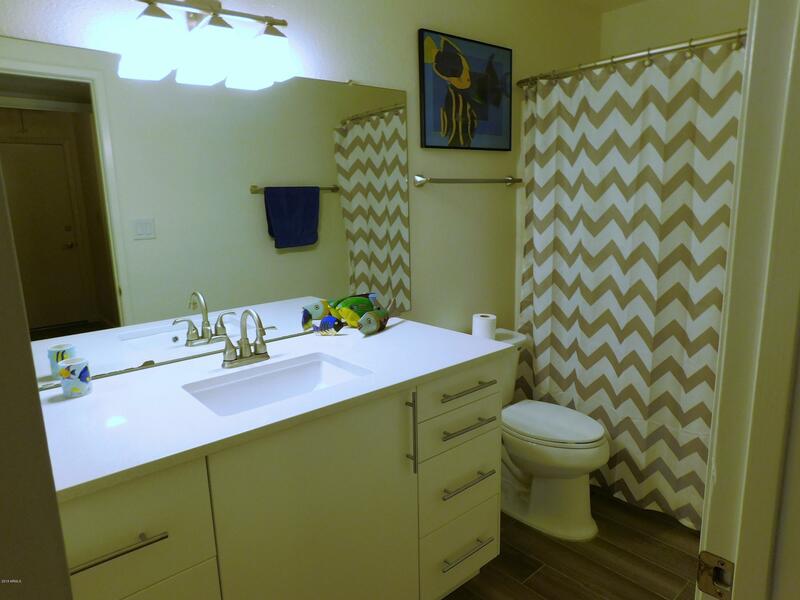 Baths have been updated w/new raised vanities & quartz counters. 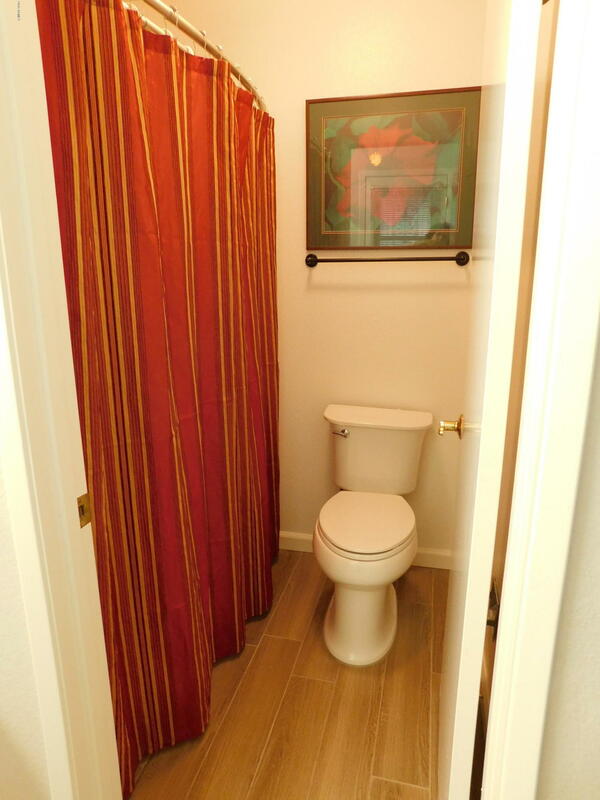 TRANE gas pack AC. 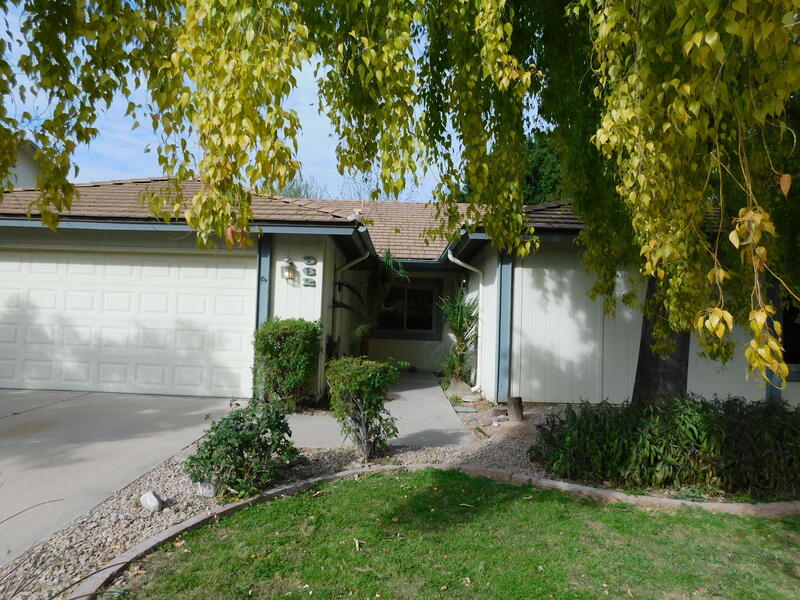 Lush landscaping & trees makes this home a nice retreat. 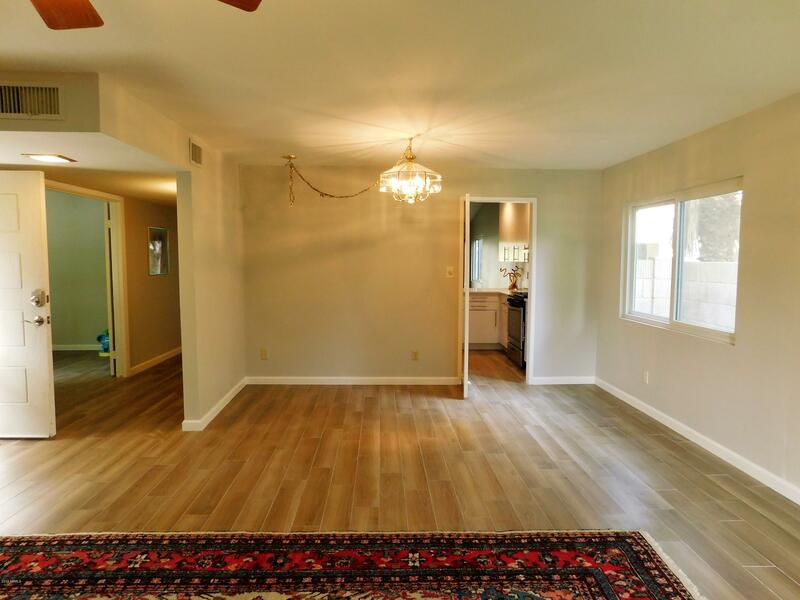 Only steps from the lake & set in the community away from road noise. 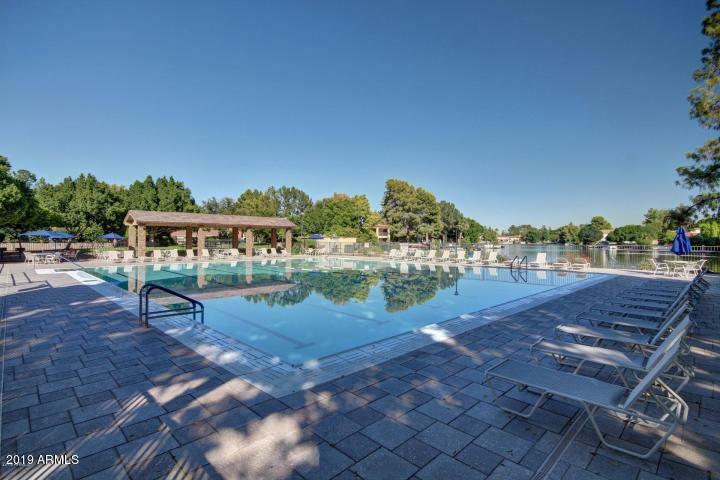 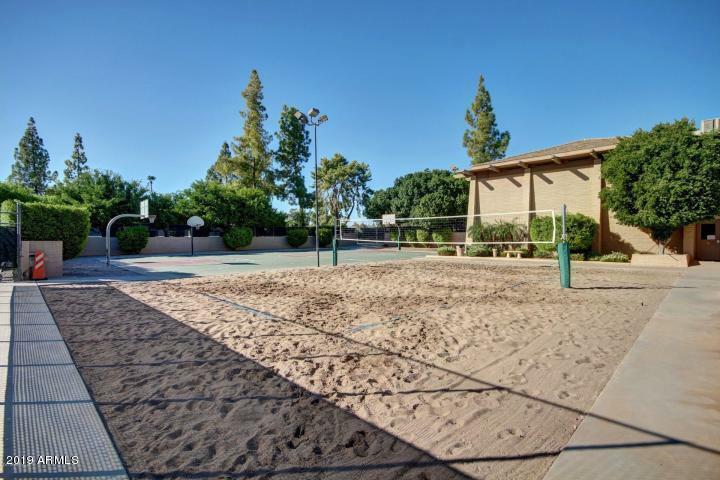 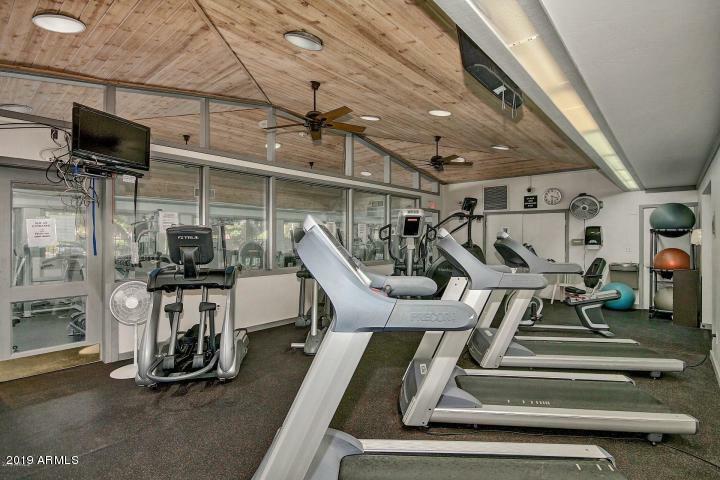 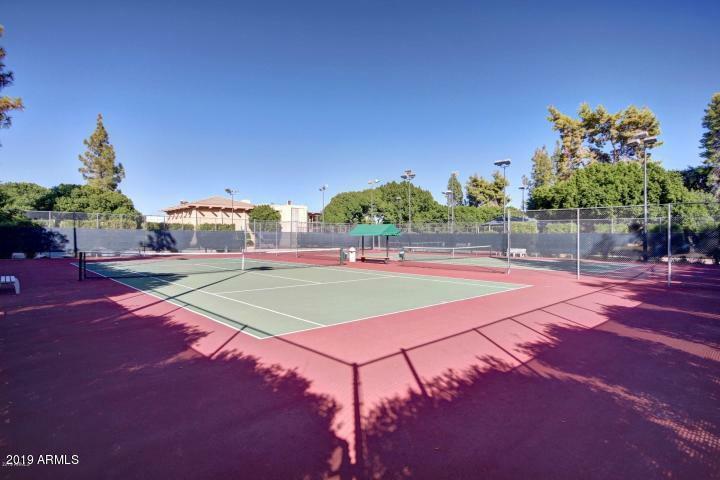 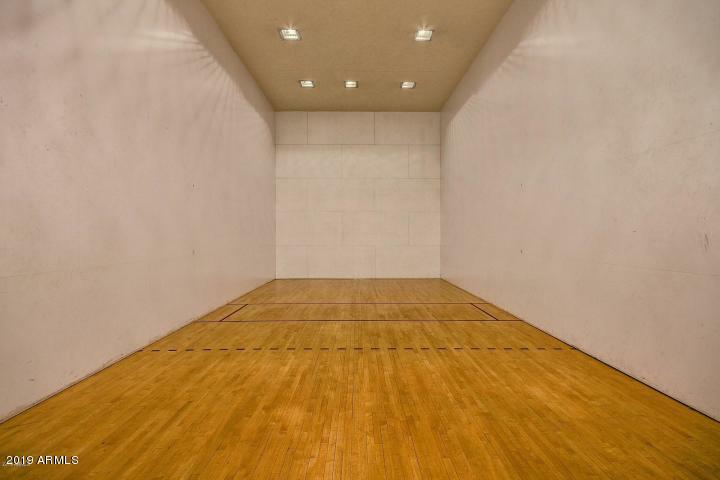 Clubhouse has many features & amenities like heated pool & spa, fitness center, Rec room, tennis/raquetball & more.